A product demo disguised as a horror film. Very few people knew that Xfinity offers a home-security system, let alone how its individual products work. It desperately needed to grow its awareness. The problem is that it had the budget only for a social media campaign—when established competitors like Google and Nest are spending much more on media. People don’t watch product demos, especially on social. One thing they do watch is scary movies, especially around Halloween. So instead of creating a traditional product demo, we disguised ours as a scary movie in conjunction with the brand’s October media buy. Collaborating with acclaimed director Dante Ariola, we wrote, produced, and launched “The Neighborhood”—an original five-minute horror film—over a five-week period. 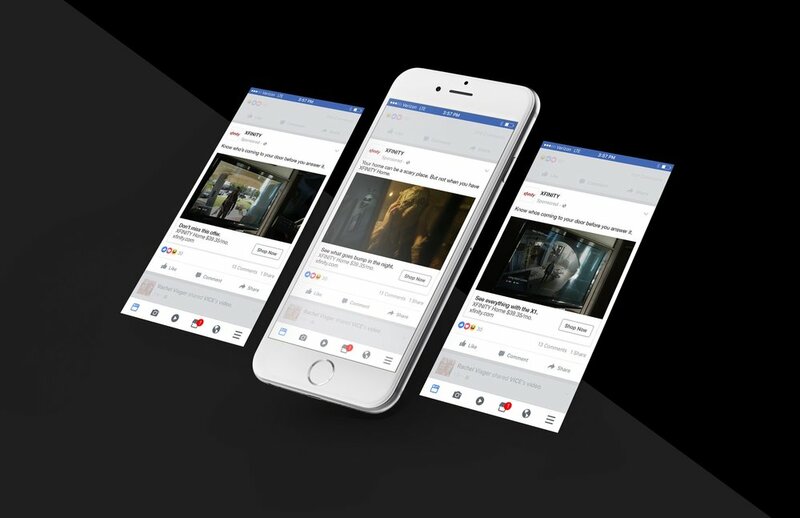 Following the release of the film, we leveraged facebook’s analytics and retargeting to “haunt” people who viewed The Neighborhood with consideration and acquisition social ads over the next few weeks. 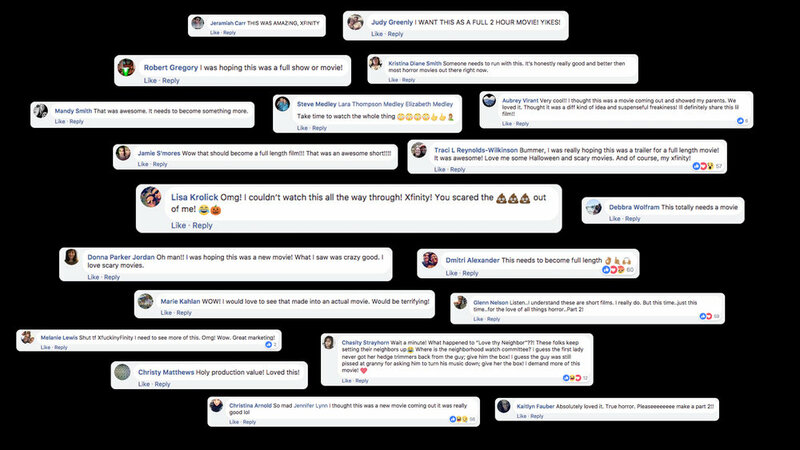 These ads resulted in a 33% increase in interest in finding out more about Xfinity Home.